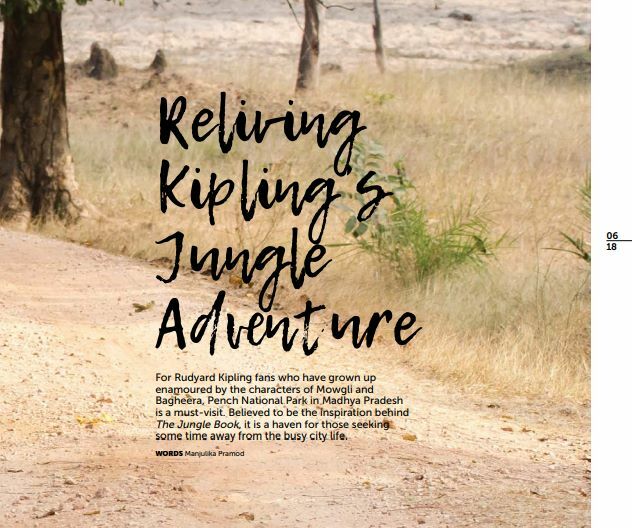 The edited piece of this article, ‘Reliving Kipling’s Jungle Adventure’ was published in AIR ASIA India in-flight magazine in the month of JUNE. Sharing my draft below. The blogpost also contains the link of the article that was published. Wilderness is never far from pretty!! It inspires and intrigues mankind in many ways. 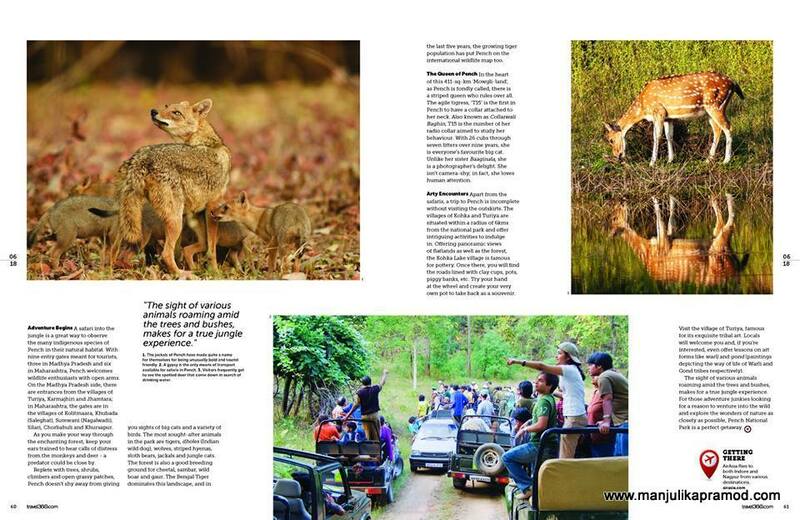 Be it any part of the world, the experience of seeing the flora and fauna in its natural habitat is winsome. And for that heavenly experience away from the din of the city, for the unpolluted wafts of fresh air for the body, for those blissful moments where one has the urge to surrender and become one with nature, there isn’t a better place than the Indian Jungles. 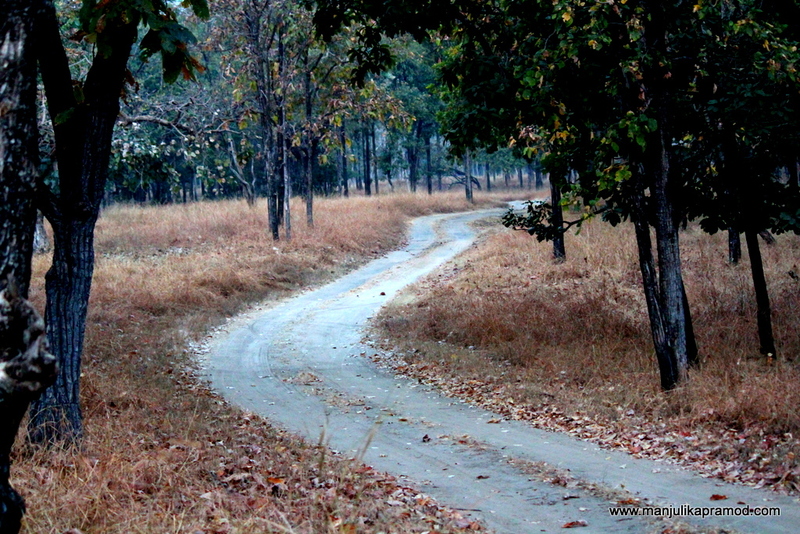 If you love forests, Pench is a delightful place to be. Spread over the border of two vibrant Indian states, Madhya Pradesh and Maharashtra, Pench harbors a mosaic of vegetation. It is home to picturesque teak forests, verdant greenery, tall trees, plants of ethno-botanical importance, nearly 300 varieties of birds and wholesome tranquility. Stamped as a national park in 1983 and a tiger reserve in 1992, Pench borrows its name from the Pench River, a tributary of the Kanhan River. This water body originates in the Chhindwara district of Madhya Pradesh and nourishes Pench National Park all year long. For those who are Rudyard Kipling fans and have grown up enamored by “Mowgli” and “Bagheera”, it is the place where you can turn the pages of the famous ‘Jungle Book’. You can read the published version here. 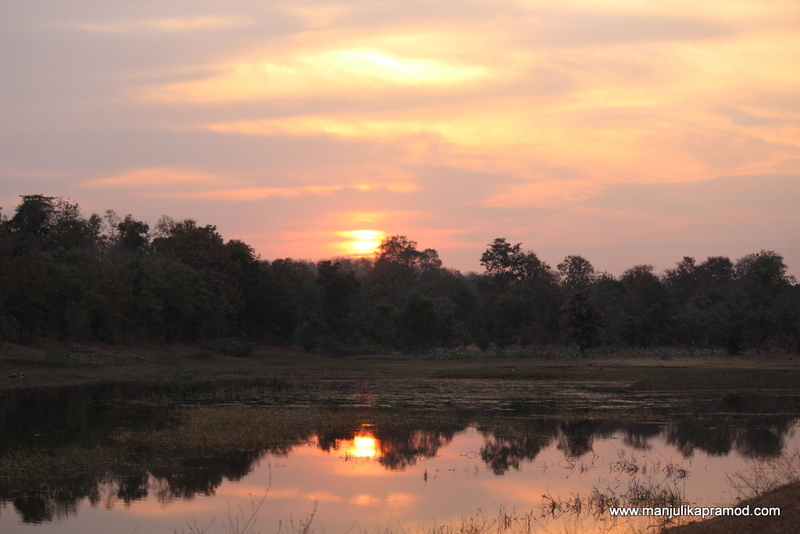 Dominated by a blend of fairly open canopy, mixed forests, dry deciduous forest, tropical moist deciduous forest, shrubs, trees, climbers and open grassy patches, Pench doesn’t skimp on the glamour and sightings of big cats, wild animals and birds. The most sought after predators in the park are Dhole (Indian Wild Dog), Wolf, Hyena, Jackal, and the Jungle Cat. With Pench River nourishing it for the whole year, with vast expanse of pastures and meadows, the forest is a good breeding ground for Cheetal, Sambar, Wild Boar and Gaur. The fearless Bengal Tiger dominates this landscape like never before and in the last five years, the growing tiger population has put Pench on international map. For the bird lovers, wildlifers and photographers, it is a place where you will never feel that you have had enough. In the heart of Mowgli land, there is a striped queen who dominates all. In the 411-sq-km core zone of Pench, ‘T15’ or ‘Collarwali Baghin’ is agile, efficient and one of the most charismatic tigress of the jungle. With 7 litters and 26 cubs in the span of nine years, she is everyone’s favorite because probably this is the highest number of cubs delivered by a tigress in this area. 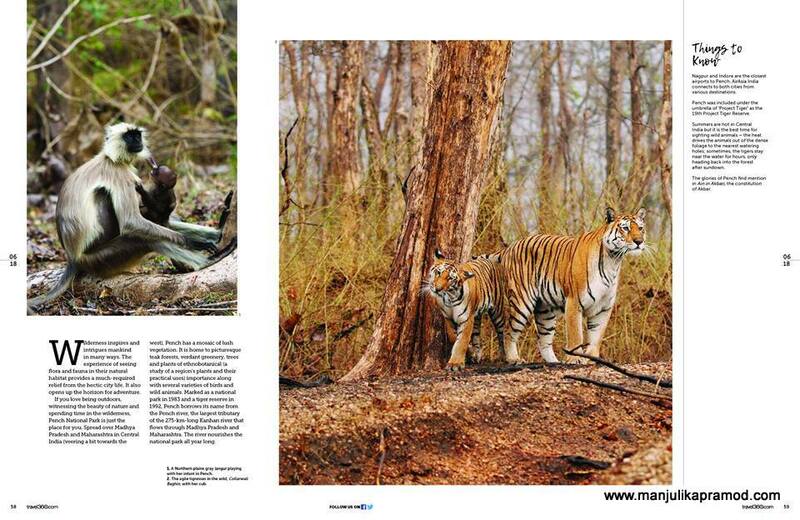 She was also the first tigress in Pench who was chosen to have a radio collar around her neck to study her behavior. Soon after few years, the radio fell off her neck but the name stuck around. Unlike her sister Baaginala, she is a photographer’s delight as she isn’t camera-shy and loves human attention. With her perfect canines, a sight of her with cubs is gratifying and elating. If you are traveling by Air Asia, do read it. A jungle trail is incomplete without going for a safari. With nine entry gates meant for tourists, three in Madhya Pradesh and six in Maharastra, Pench welcomes wildlife enthusiasts with open arms. On the Madhya Pradesh side, there is Touria, Karmajhiri and Jhamtara, while Maharastra boasts of Kolitmaara, Khubada (Saleghat), Surewani (Nagalwadi), Silari, Chorbahuli, Khursapur. Turia Gate and Khursapur enjoy popularity. The safari rules say that selection of gate is of paramount importance. However, selecting the most popular gate is not always important. A good safari day calls for patience, alertness and loads of good luck. As you cruise past the enchanting forest and peel the woods through binoculars, you must be alert enough to hear the jungle calls. In Pench, the chances of seeing leopards, jungle cats, sloth bear, striped hyena, jackals and of course the big cats is high. In addition, around 300 varieties of birds find solace in these forests. At the end of the trip, even if you do not come face to face with the tiger’s impressive face, the disappointment doesn’t set in. The sight of distant birds, different sounds of jungle, fluttering leaves, tickling breeze, herds of spotted deers make you grateful for everything. The little joys of Pench are many. Just the feeling of being in the jungles brings so much happiness to the heart. Safari in the jungles is a must do but one must maintain the decorum of the ecosystem. 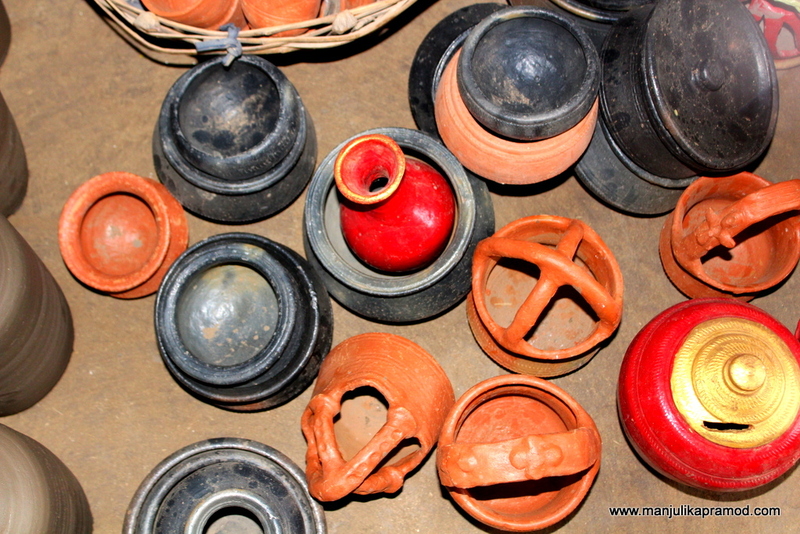 Have you heard of Kohka, Kohka Lake and Pachdhar Potter’s Village? 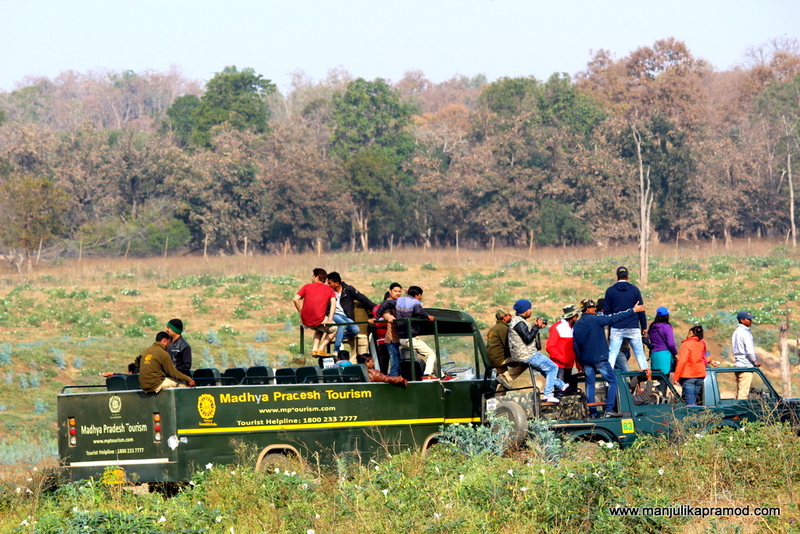 Visiting Kokha Lake is one of the best things that one can do in Pench apart from going on safaris in the forest. Situated closest to the Turia gate and not far from Khursapur too, this not-so-popular lake is home to variety of birds. Loved for its alluring sunrises and sunsets, it makes the most sought after attraction near the forests. The presence of this quaint lake makes the nearby villages and fields all the more soulful. In Kohka, one has the luxury to be close to nature and indulge in the wilderness hands down. You can start the day by going for birding walks in the morning, use the afternoon for exploring the Turia village and end the evening at Kohka Lake. If you have an eye for tribal art, you may request the locals to give you lessons on both Warli and Gond. Pachdhar Potter’s Village in the neighborhood is famous for its pot making. You will love to make some pottery for yourself. There are several intimate camps and resorts which offers true safari experiences with great hospitality. If a jungle holiday with friends and family is on your cards, Kohka makes a great choice. Pachdhar Potter’s Village in the neighborhood is famous for its pot making. One must check out Kohka lake around Turia Gate and enjoy the Sunset. The most preferred and convenient airports to Pench are stationed at Nagpur and Jabalpur. The national park is very well connected by roads from the nearby airports. Pench was included under the umbrella of “Project Tiger” as the 19th Project Tiger Reserve. Summers are hot in Central India but it is the time when chances of sightings are high as the animals step out to drink water. The glories of Pench find its mention in ‘Ain in Akbari’, the constitution of Akbar.